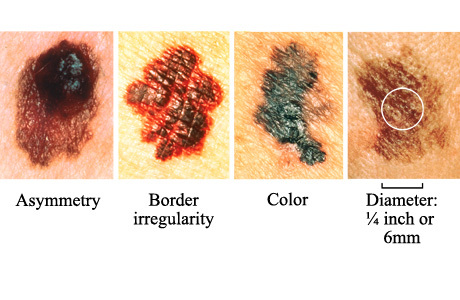 Skin cancer- a disease that comes in many forms, and stages. Skin cancer is the most common form of cancer in the United States. 2 million people are diagnosed every year They go by different names and how vigorous they are at spreading. Basal cell carcinoma, Squamous cell carcinoma, and Melanoma are the three most popular types of skin cancer. Between 40-50% of Americans will have some form of skin cancer in their lives by the time they are 65 years of age. Back in my sophomore year of high school my dad noticed two lesions on the top of his head. Once he noticed them he made an appointment with his physician right away but when he found out he was out of town he went to the doctor that was filling in for him. He told my father that he thought he had MRSA and that to come back in a little bit for treatment, once his doctor came back into town he went again and sure enough my dad was diagnosed with two types of skin cancer. Basal cell and Squamous cell cancer. The doctor recommended my dad make an appointment with a oncologist who specializes in removing cancer. Once he had it removed and it all healed up, the doctor checked to see if it spread. Good news for our family is that it didn't spread. 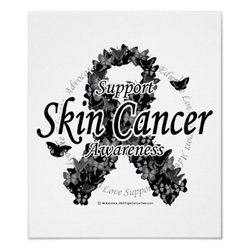 My dad had both skin cancers at once in 2008, it is now 2011 and almost 2012 and he is still cancer free.